Turbulent times and harsh reality always give birth to extraordinary events. Only this time the revolution will remain private. With a new decade on the horizon, we are opening a new chapter in our lives and starting to rethink our relationships and the way we live in our homes. Celebrating life and everyday moments with our families, and opening our minds to kindness and sharing is something we look forward to seeing more in the times ahead. Rebuilding the broken world needs to start in our own hearts and hearts of our little ones, and we are happy to report to you that 2019 is going to be the year when this shift becomes a global trend! 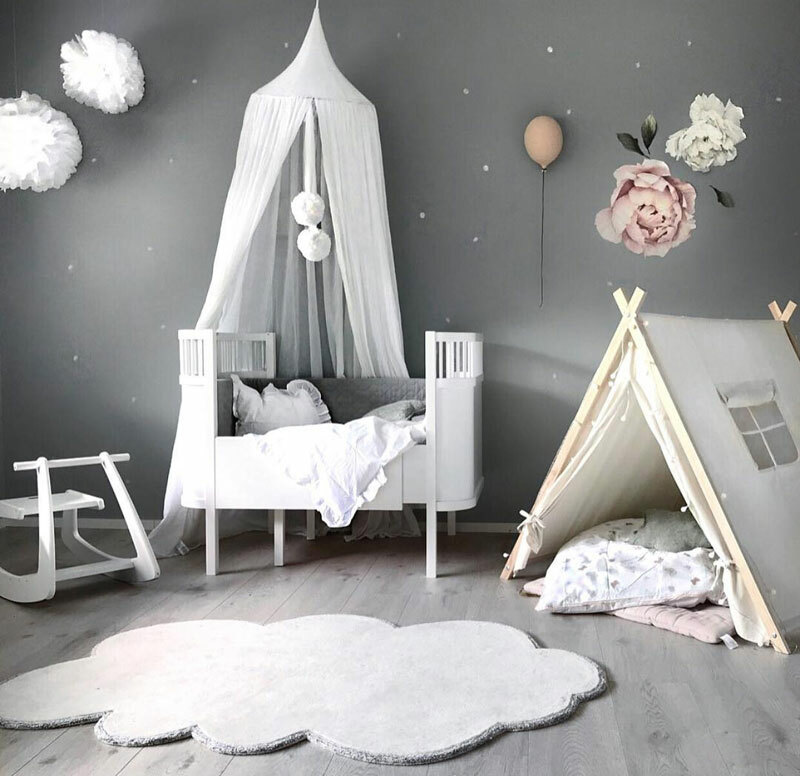 So let’s find out how this newly discovered optimism will translate into 2019 baby nursery design, what novelties will it bring compared to the 2018 nursery trends, and learn some tricks on how to jump on this trend wagon! 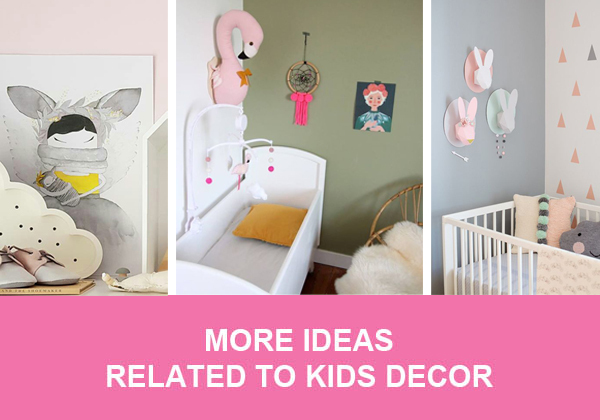 Optimism can mean only one thing – fun and cheerful aesthetics with a fairly liberal approach to decorating rules. Perfection is no longer an imperative. We could even say that perfection is something to be avoided as it sends a wrong message to the kids who should be encouraged to explore the grey areas of good and bad, and not just live in a bubble. Embrace the imperfect and celebrate uniqueness – that’s the main mantra here. Fewer rules, more play! Making the most of the moment doesn’t go hand in hand with an overly tidy space. And with the return of the maximalist aesthetic (for both toys and decorating) the idea of unlimited play is brought to a whole nother level. 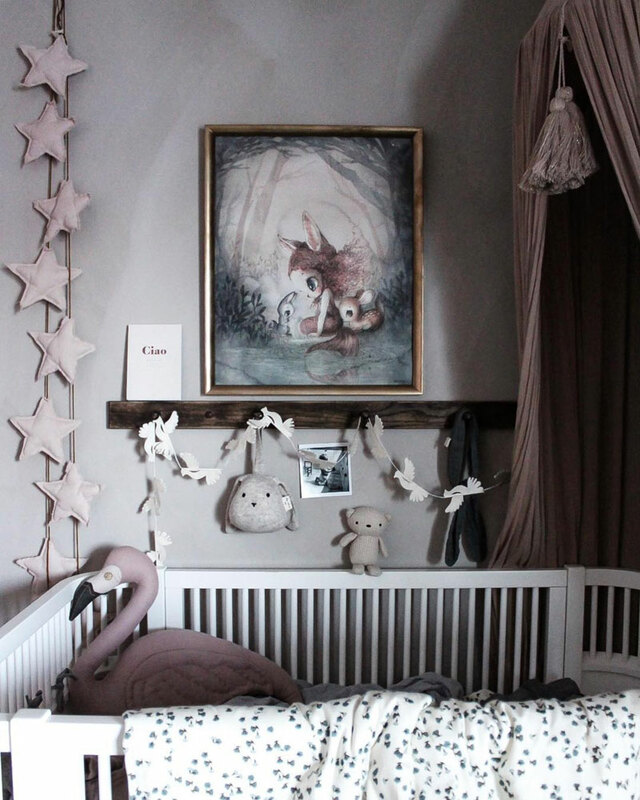 But it is not just maximalist kids’ rooms that are being affected by this phenomenon. 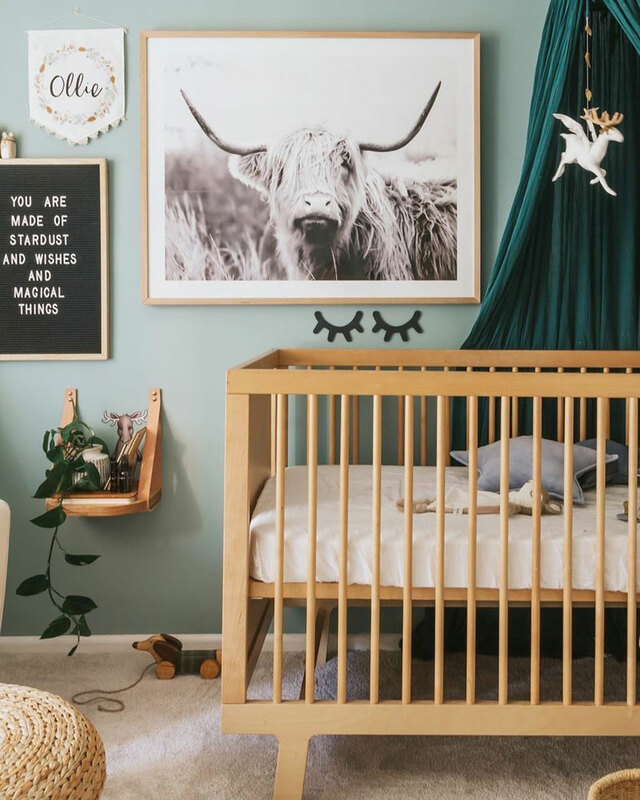 Nurseries with a more minimal, serene look have also taken a turn into a more care-free spirited direction. 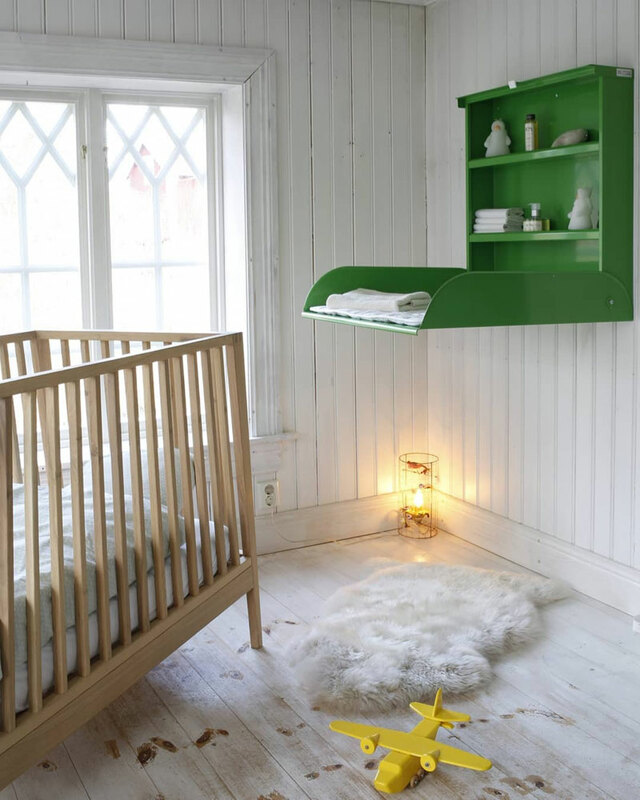 Scandinavian nurseries no longer carry a white and airy attribute. They’ve turned moody and mystical, beaming with intriguing characters and their imaginary worlds. 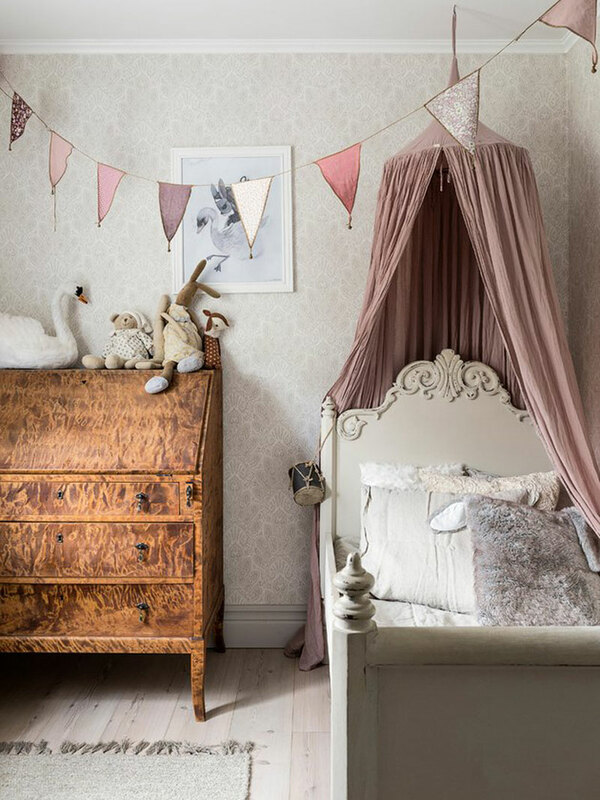 The vintage-inspired maximalist look in muted colour schemes hosts mesmerising storylines about dark nights and fairies with unique magical abilities who teach kids valuable lessons about human character. 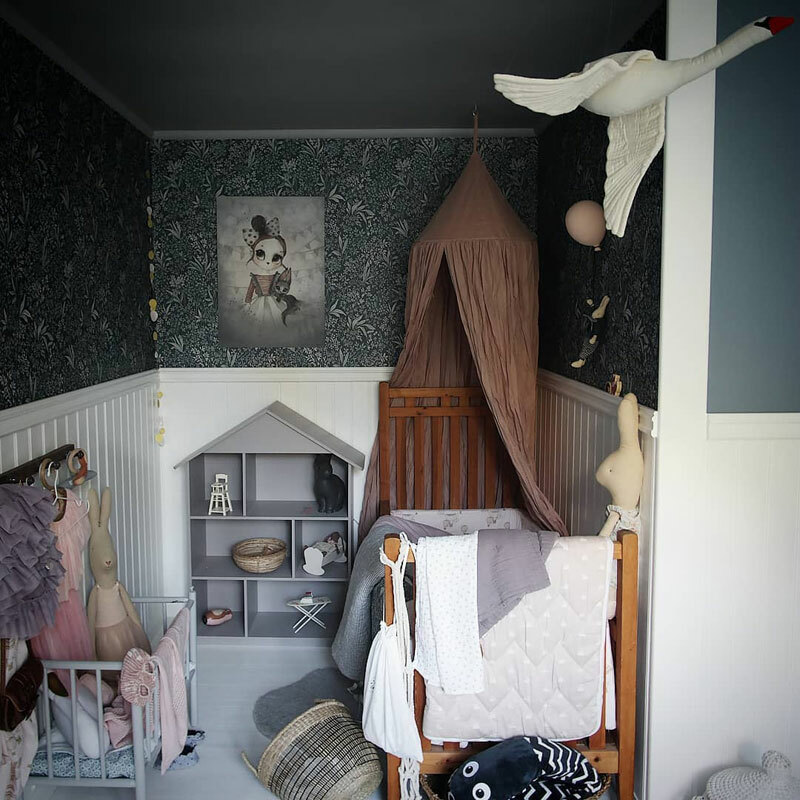 In a way, modern Scandinavian nurseries are now magical fairytales brought to life. 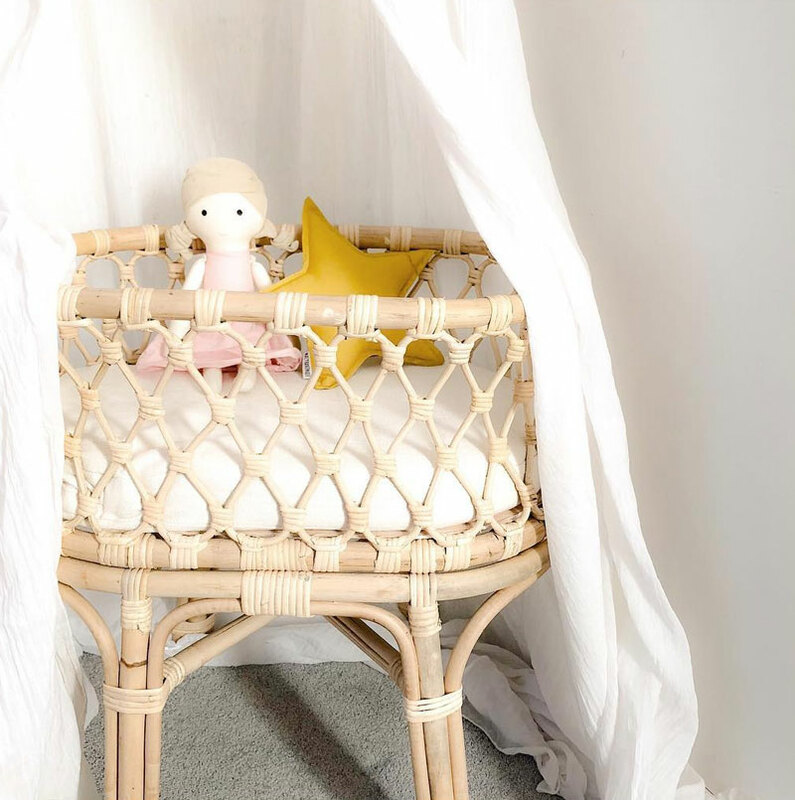 Without a doubt, rattan will hold the crown as the kid’s room material of the year 2019. 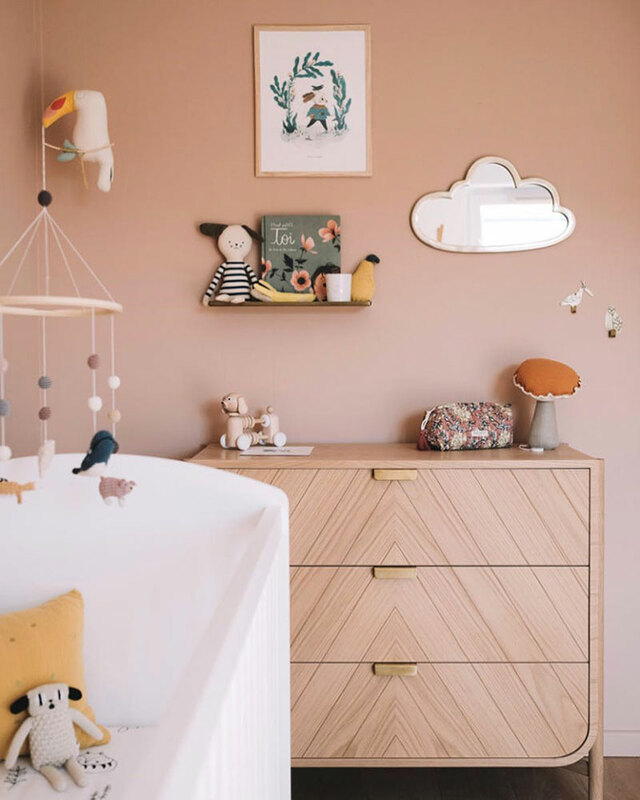 This traditional reference with a modern twist is becoming increasingly present in baby nurseries and taking shape as the go-to statement furniture (cribs, chest of drawers, armoires, shelves), toys (prams and rattles) and decoration. 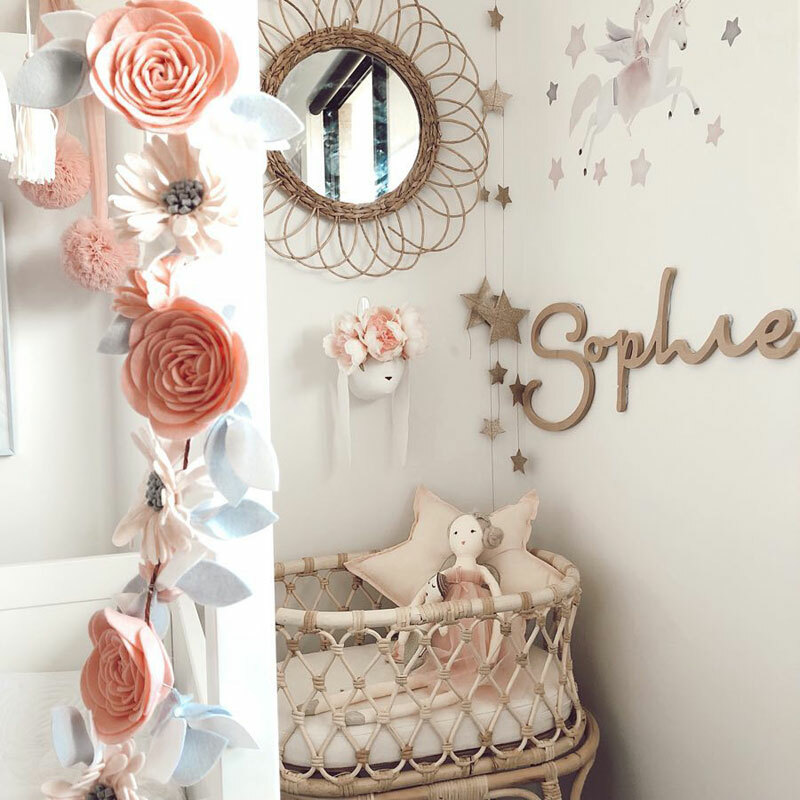 The popularity of rattan sunburst mirrors is exploding as more and more parents are looking to add these elegant vintage beauties into their babies’ nurseries. 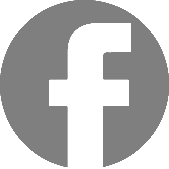 With the growing number of grandparents involved in children’s upbringing, appreciating family history and tradition becomes increasingly important. 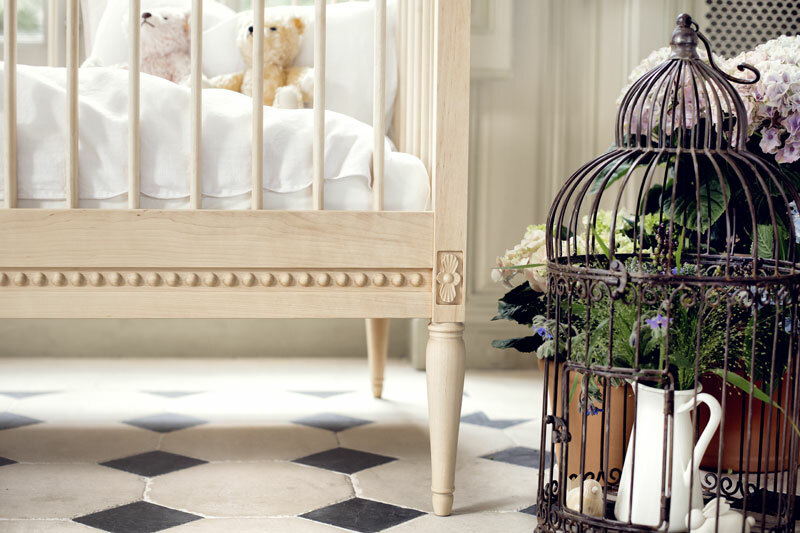 Heirloom pieces will be highly favoured and used as a starting point for nursery design. 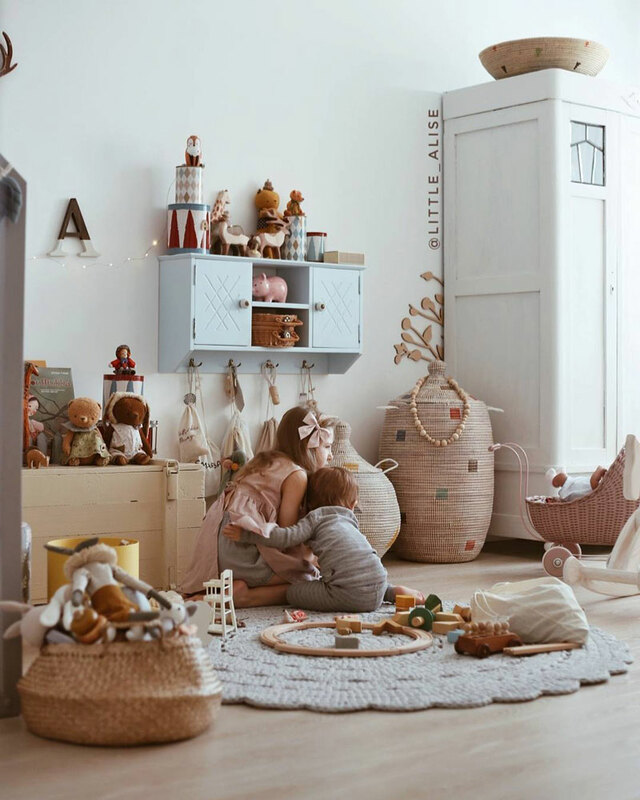 This nostalgic trend blends the old with new, traditional with modern and underlines the importance of rediscovering traditional family values. 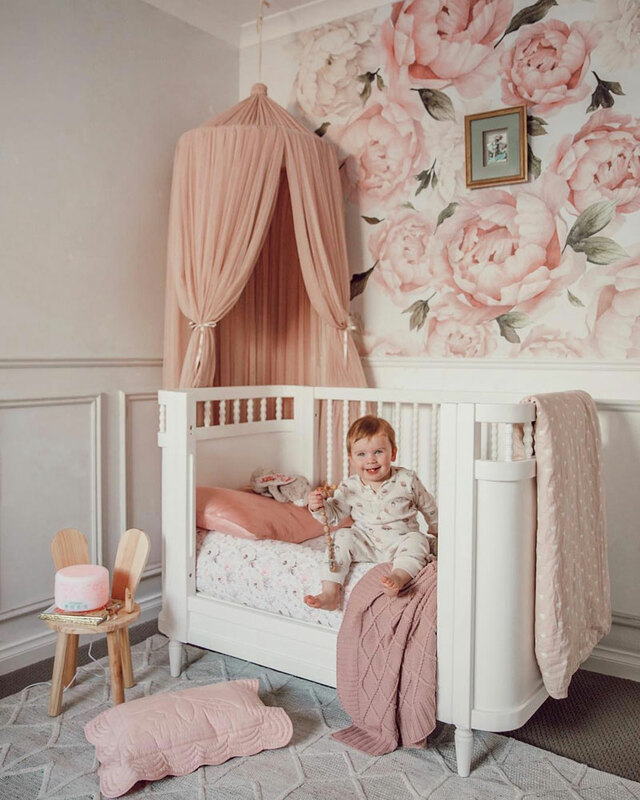 If there is an evergreen trend in nursery design that all generations feel fond of and are eager to adopt at a moments notice – it’s florals. After a year where peonies have reigned supreme, we are ready to welcome roses under the spotlight! This year, keep your eyes on rose murals, 3D roses and rose wreaths and garlands. 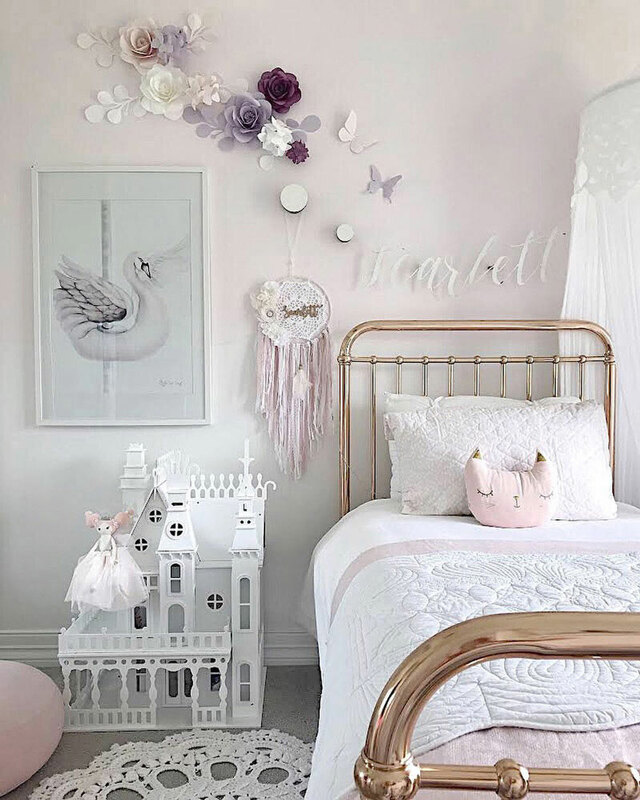 Not only does rose wall decor look incredibly feminine, but it is also a magnificent opportunity for a DIY project. Fine craftsmanship and elaborate details such as leather handles, apparent joints and high-quality woodwork can be spotted in furniture collections of a number of leading industry brands. 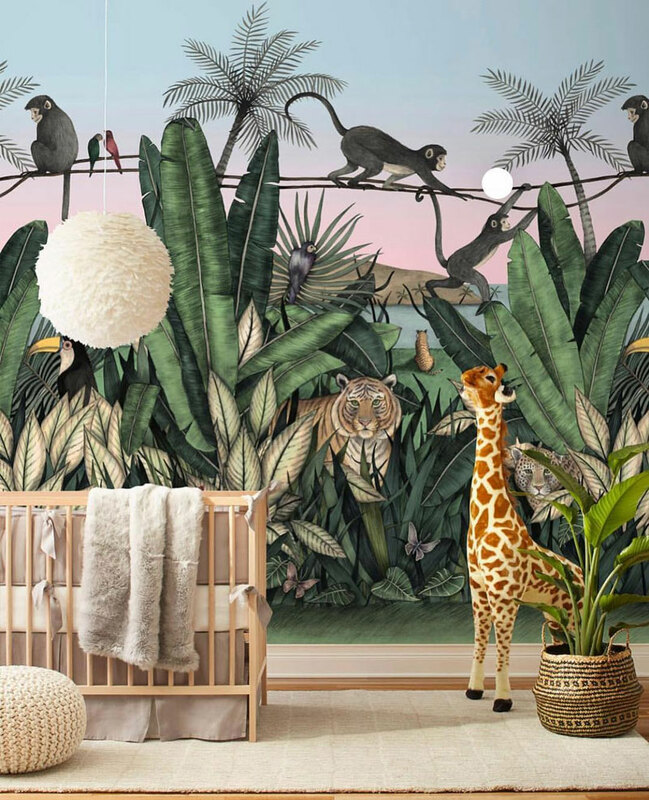 Designers seem to have been very inspired by the tropical, safari and jungle looks of 2018 which aren’t going anywhere yet. 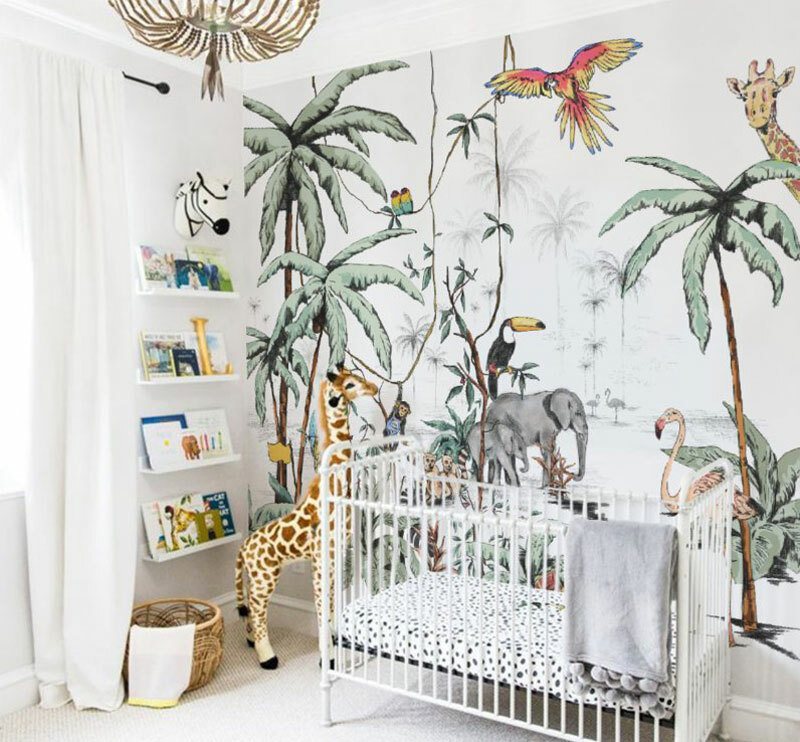 The exotic animals will take a special place in your child’s kingdom in form of cuddly toys, wallpaper, blankets, bed linens… you name it! Our friend the giraffe is particularly popular which is not surprising as it is one of the cutest animals of all times. Pink is still relevant but is slowly shifting away from pastels or bubblegum pinks and becoming more sophisticated. Together with its dusty beige and ivory best friends, it’s definitely becoming the star of the show. The colour combines perfectly with objects or furniture that have imperfect surfaces, such as distressed looking wood, or furniture with a retro style. 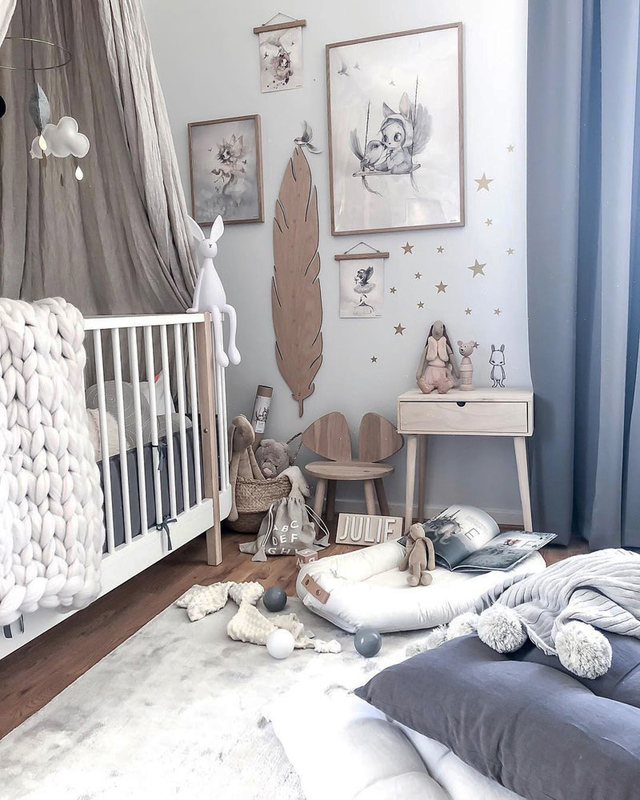 Nursery colours of 2019 will follow the flow of colours found in the rest of the family home. We will witness the move towards more homely colour schemes that aren’t particularly “babyish”. 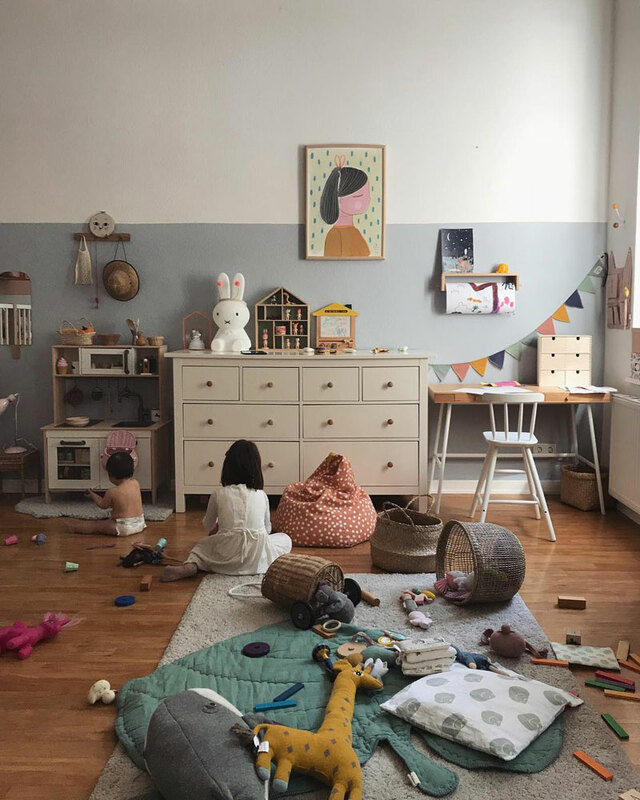 Hunter or emerald greens, moody and misty blues, terracotta, apricot, deep teal, mustard yellow and lilacs will be the most popular choices for kids’ spaces in a year ahead. Colour pops such as a yellow blanket, a bright cushion on a bed or a colourful rug will be a 2019’s favourite decorating trick for adding liveliness to neutral settings. Don’t expect to see these vivid pops appearing all over the place though – subtle and refined are keywords you should aim for. One colour that will stand out more than others for these bright additions will be optimistic yellow .Will Pantone’s colour of the year “Living Coral” find its place too? 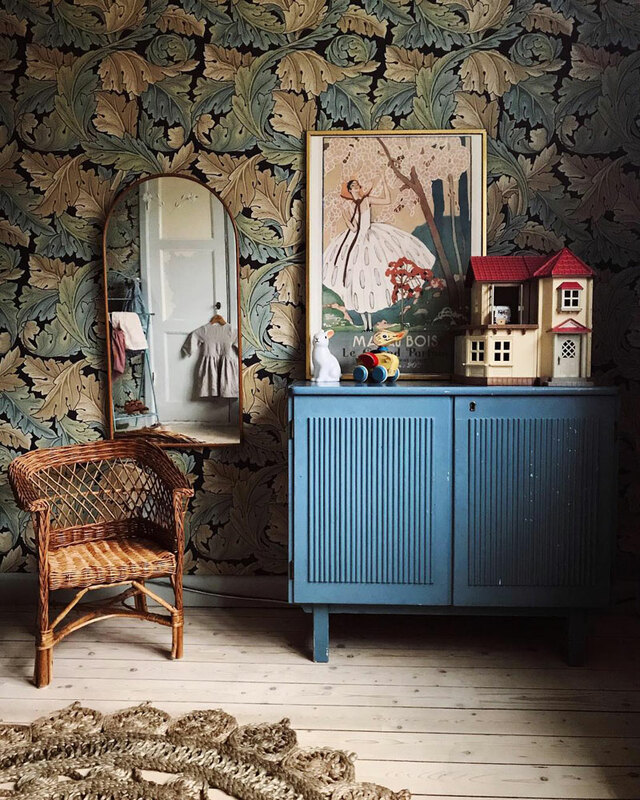 It’s a little bit early to tell yet and we’re curious to see if this colour will be used more as decorating accents or as background canvases on wallpapers and paints. 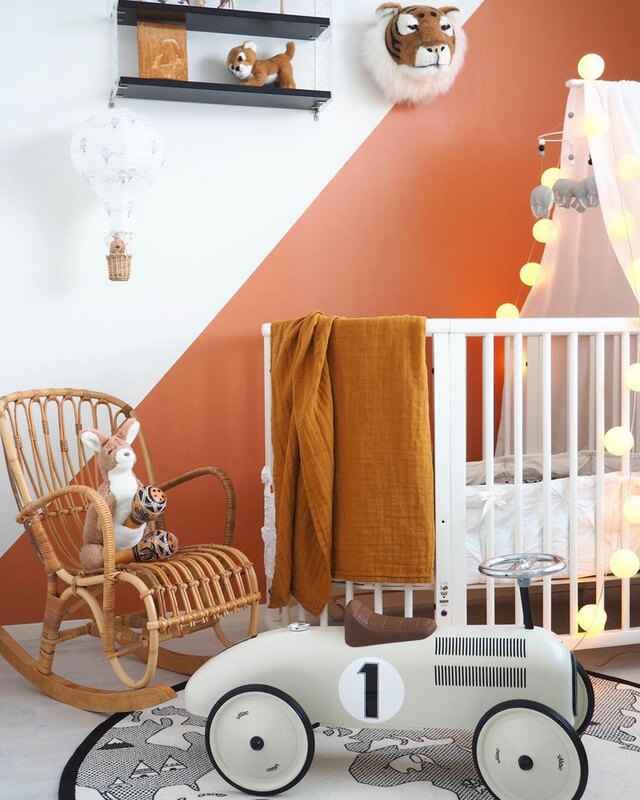 We hope these trends might inspire you at the very initial stages of your nursery planning. Start with something you really like and then just follow your heart. 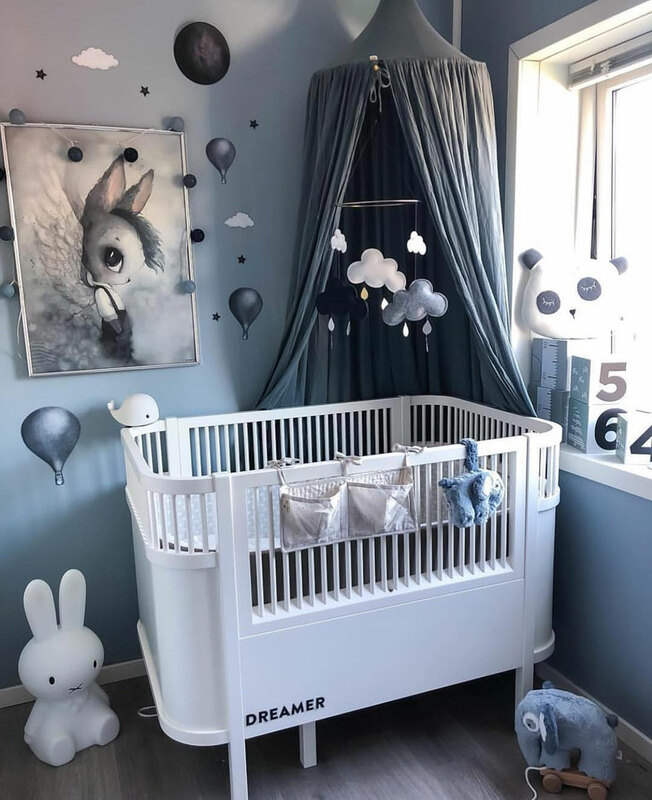 Don’t worry if your next items don’t follow the trends – the less planning you do, the more charming and unique the nursery will be.